Make a fine addition to your accessory collection with this stylish belt from the popular brand, Allen Solly. 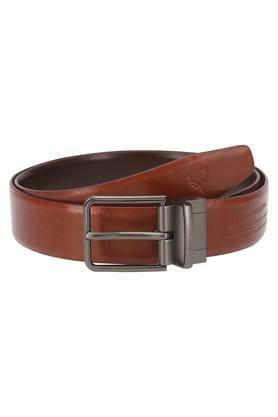 It features a buckle closure, which will ensure a comfortable fit. In addition, it has been crafted from premium quality material that increases its longevity and also ensures easy maintenance. A combination of style and utility, this buckle belt is ideal to be worn on a daily basis. Try teaming it with a pair of jeans and a leather jacket to make a style statement.